Temperament: Friendly and laid back. Bali is a beautiful young gal who was stray and seeking food just as the winter cold was setting in. Realizing this friendly kitty was not a street cat, but was in need of help and a home Regina Cat Rescue was contacted. Bali is a beautiful tabby with gorgeous markings, and her temperament is just as lovely. She’s a loving and gentle cat who quickly wins hearts. This beautiful girl would be a great fit for a young family or first time pet owner. 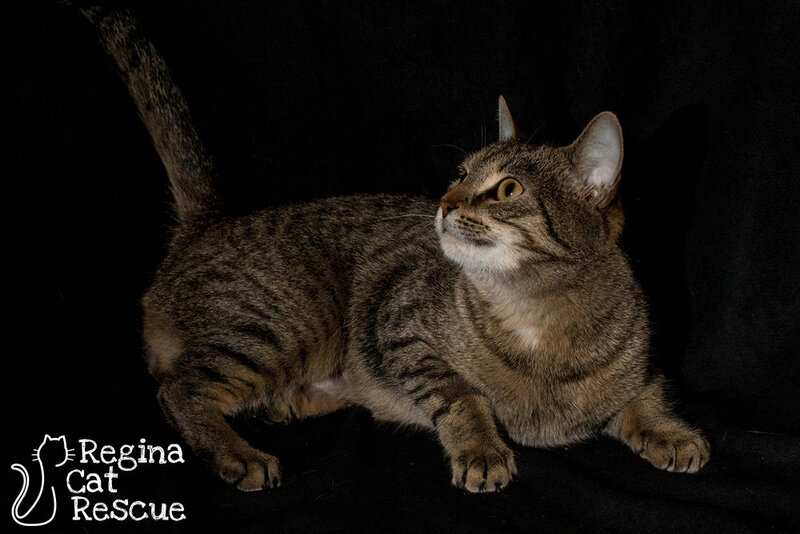 She's adaptable, easygoing and would enjoy having a feline friend in her forever home to play with. But Bali is also good at making her own fun and could be an only cat too. 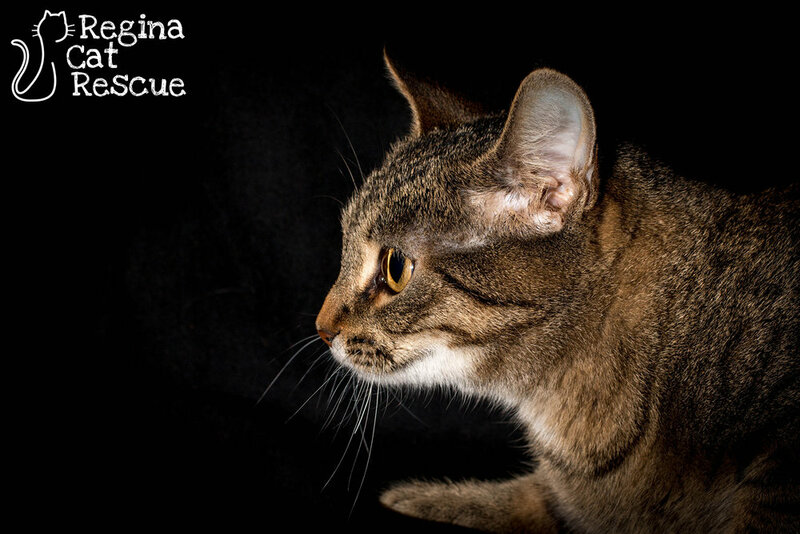 If you are interested in Bali, click here to view our adoption contract and click here to complete an adoption application or email the RCR Adoption Coordinator at adoptions@reginacatrescue.com for more info.